The movement towards increased financial security and regulatory compliance has continually grown over the course of the past several years, and continues to reach new heights in 2016. Yet although these developments were brought about with positive outcomes in mind for the entities they govern, new pieces of legislation have led to stringent obligations that these entities are subjected to. As a result, the upkeep of compliance responsibilities has become an overwhelming process for many financial institutions (FI’s), and have lead to severe consequences commonly found in the form of large financial penalties and the loss of credibility, among others, over the past five years alone for hundreds of organizations struggling to allocate the necessary resources and funds to effectively meet their compliance demands. To help ease the burden of remaining compliant with the ever-changing and complex AML and CTF regulations that are seen today, a trend has emerged within the financial services industry that provides tremendous relief to financial institutions and their respective compliance departments. 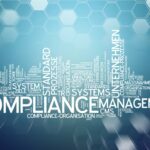 Aggressive hiring of compliance professionals and the constant search for talented, experienced individuals to fill these positions has boomed in the recent years in efforts made by banks to meet the robust task of mitigating their risks while also remaining compliant with federal regulations. World-renowned groups such as HSBC Holding and J.P. Morgan Chase, along with many others, have added thousands of compliance employees to their payrolls over the past five years, as the compliance field continues to evolve into one of the hottest labor fields in the United States. According to a 2013 report by the Bureau of Labor Statistics, “the U.S. unemployment rate for compliance professionals was 5.7% in 2012’s third quarter, compared with the overall jobless rate of 7.2% in the same period” (Millman and Rubenfeld, 2014). Today, there are over 257,000 compliance officers found in the United States alone, and individuals in this field are being better compensated than ever before. The average annual salary has risen considerably from the $55,000/year seen in 2009 to the $69,000+/year seen in 2015 (Bureau of Labor Stats, 2015). This growing trend is predicted to continue, as was discussed in business writer John Caruso’s article titled “The compliance hiring boom is not over. Here’s why”, cited in BSA News Now on December 9th. With the current approach of employing automated systems to scan transactions and entities, and to perform many other security functions for a compliance department, bank officials must constantly monitor these systems for potential error or areas that may have been missed or overlooked by software solutions with inadequate or obsolete screening algorithms/capabilities in order to avoid risk. This is a task that requires a great deal of time and a surplus of resources, especially for larger financial institutions, meaning that compliance analysts must work round the clock to thoroughly examine hundreds, if not thousands, of transactions and financial relationships on a weekly basis. This makes the need for individuals with experience and an eye for detecting suspicious activity, as well as the ability to carry out detailed investigations into these matters, essential for the continued health of an organization. Thus, the more of these skilled individuals an organization is able to have on staff, the better, and the easier it is for an FI to remain compliant. This is one of the largest contributing factors to the compliance-hiring boom that has been seen recently. Caruso predicts that these aggressive hiring procedures will continue, as hiring strategies are evolving in two major ways: in the “testing of ourselves” – the institutions themselves – and in the advancement of “statistical, analytical, and technology functions” (Caruso, 2016). Financial institutions are in search of potential compliance officials who are good at quality assurance testing, both for the use of automated solution systems and for workflow processes, as well as for potential employees who can look at the current systems and solutions being used by their institution and make them more effective. Caruso explains that by marrying technology with these AML professionals, the financial services industry and the institutions that comprise it can stay ahead of the curve in regards to keeping up with regulatory enforcement. He also states that this will provide “a great opportunity for junior individuals with business degrees, accounting degrees, law degrees, etc., and those who have a good measure of industry knowledge, and can be easily trained” to gain opportunities and firsthand experience in this growing industry (Caruso, 2016). Yet although this profession has become much more enticing from a financial standpoint, it has failed to draw as much interest from new college graduates as what was once predicted. According to an article written by the Wall Street Journal, “One trade group found in a 2012 survey that 60% of compliance officers had considered leaving their position because of job stress” (Millman and Rubenfeld, 2014). Many believe that this stress is due in large part to the sizable time commitment the occupation entails, as well as the constant effort necessary to “survive and advance” in this high-pressure position. Having to keep up with constantly changing regulations, continually dealing with auditors and regulators, and in some cases being held accountable for lapses and errors found in their work is a significant amount of pressure to be placed on an individual who is fresh out of college with little previous work experience. However, the benefits of this position are clear, as the chance to earn a high salary out of the gate (regardless of company size) and the capacity to advance in the company, potentially advancing to the prestigious role of chief compliance officer, is a reward that may be worth the risk for younger generations looking to gain traction in the business world. Nevertheless, the current regulatory environment in the United States has become the driving force behind the employment boom in this field, and the outlook seems to be “very bright for anyone entering into compliance as a career” (Millman and Rubenfeld, 2014). Why.” EFinancial Careers. 08 Dec. 2016. Web. – United States.” U.S. Bureau of Labor Statistics. May 2015. Web. Dream Career?” The Wall Street Journal. Dow Jones & Company, 15 Jan. 2014. Web.